Courtesy of Williams Trew Real Estate, Rees Atkins. Exquisite home in La Cantera at Team Ranch built by Integrity homes. This custom build features beautiful finishes throughout, including wood floors, quartz countertops, and designer lighting fixtures. Enjoy a chef’s kitchen with stainless steel appliances, commercial grade range, double oven, oversized island and beautiful cabinets that supply ample storage. Master bedroom and guest suite are on the first floor while three additional bedrooms and a game room are upstairs. All within the beautifully designed and gated neighborhood of La Cantera at Team Ranch, just minutes from downtown Fort Worth! 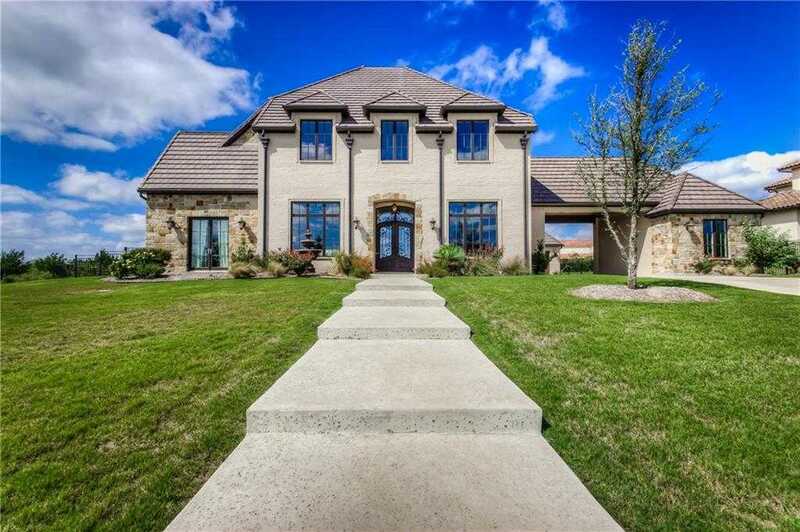 Please, send me more information on this property: MLS# 13947803 – $1,199,900 – 5204 Verde Circle, Benbrook, TX 76126. I would like to schedule a showing appointment for this property: MLS# 13947803 – $1,199,900 – 5204 Verde Circle, Benbrook, TX 76126.